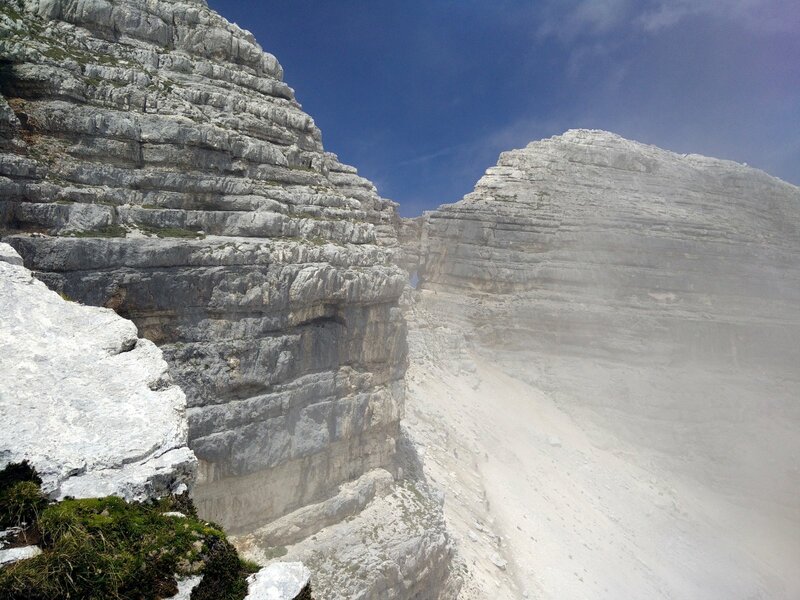 This entry was posted in Going Via Ferrata and Scrambling Hiking the Alps Hiking Trails and tagged alps hiking alps hiking slovenia hiking trails alps julian alps kanin Kanin Sella Nevea Prestreljenikovo Okno on February 14, 2019 by Laura P.
The Kanin mountain range, of which the highest point is at Big Mount Kanin at 2587 meters, is located on the border between Italy and Slovenia. It is a quite popular hiking spot for hikers from both countries as well as multiple other nationalities – especially as you can focus on the technically challenging trails closer to the top by ascending to 2160 meters of altitude by cable car from the Bovec valley on the Slovenian side. There are also hiking routes from the Bovec valley and all the way up to Big Mount Kanin, but this would make up more than a day hike. 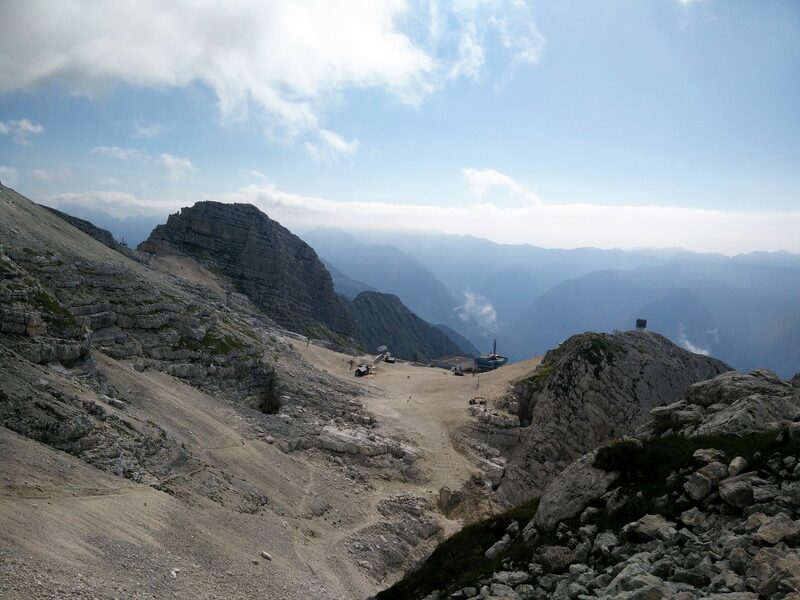 We took the cable car up and instead prioritized the technically challenging trail to the top. 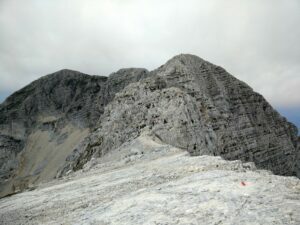 In advance we were informed that there are via ferrata stretches and thus brought the equipment (via ferrata sets, climbing harnesses etc. ), but as it turned out these were mainly in relatively unexposed areas and thus we didn’t bother to put on the equipment besides helmets. 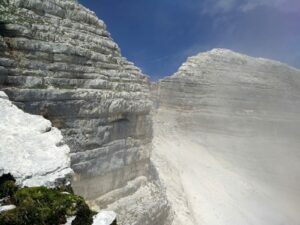 On the other hand, there were quite some exposed stretches without via ferrata steel wires, where they would surely be a more than welcome addition. 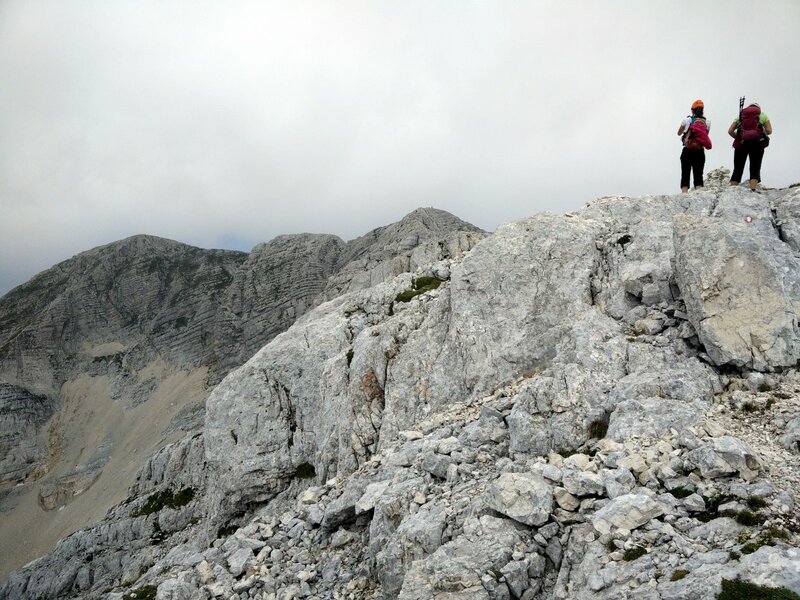 Several times we had to scramble up steep rocky hill sides and thus helmets and high-quality hiking/scrambling boots are a must for this technically challenging trail which nevertheless rewards you with amazing views on various Italian and Slovenian alpine landscapes. 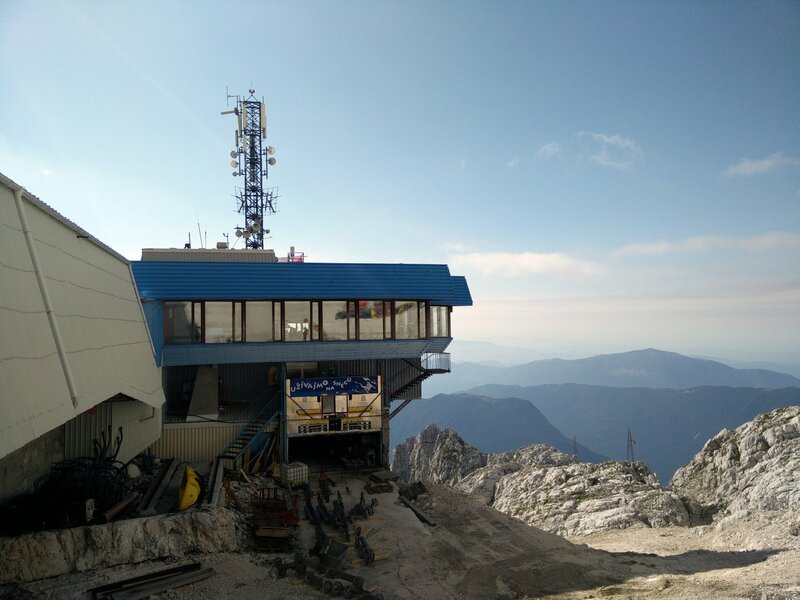 The trail starts at the cable car station 2160 meters above the sea level. 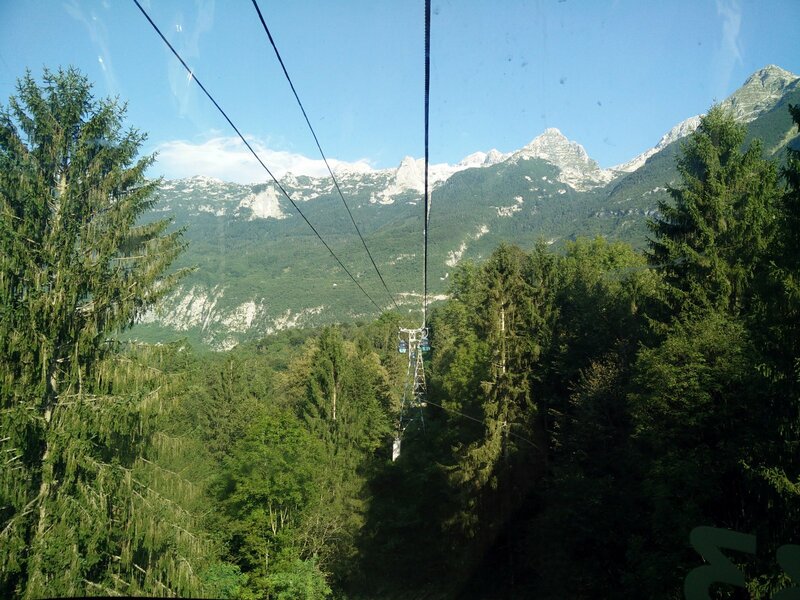 Taking the Kanin cable car is an adventure in itself as it from an altitude of 430 meters in the beautiful Bovec valley takes you over lush forest and scarred rocks, travelling several kilometers in distance and more than 1.5 kilometers in altitude. 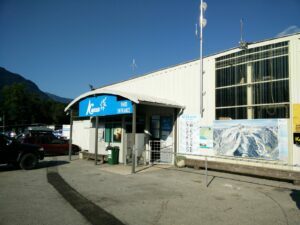 The Kanin cable car is otherwise meant to serve for ski sports practitioners in the winter season, but has in recent years become almost as popular in the summer season for hikers and people who just want to admire the views from the café inside the last cable car station. An adult return ticket costs 17 euros/20 $ and the cable car starts running at 7 am while the last ride is at 5 pm although the operating hours might change according to weather and season. For up-to-date information about the Kanin cable car, click here. The Kanin cable car station in the valley is located at the address Dvor 43, 5230 Bovec (coordinates 46.33294, 13.53882) and you can reach it by public transport (see below) or car (there is a parking place where you can park your car for free). If you are coming by car from western Austria or northeastern Italy, first drive to the Italian town Tarvisio. From Tarvisio continue towards Bovec through the town of Cave del Predil on the road SS54. After driving for approximately 30 kilometers you will reach Bovec. Drive through the town and soon you will see a small airport on your left. 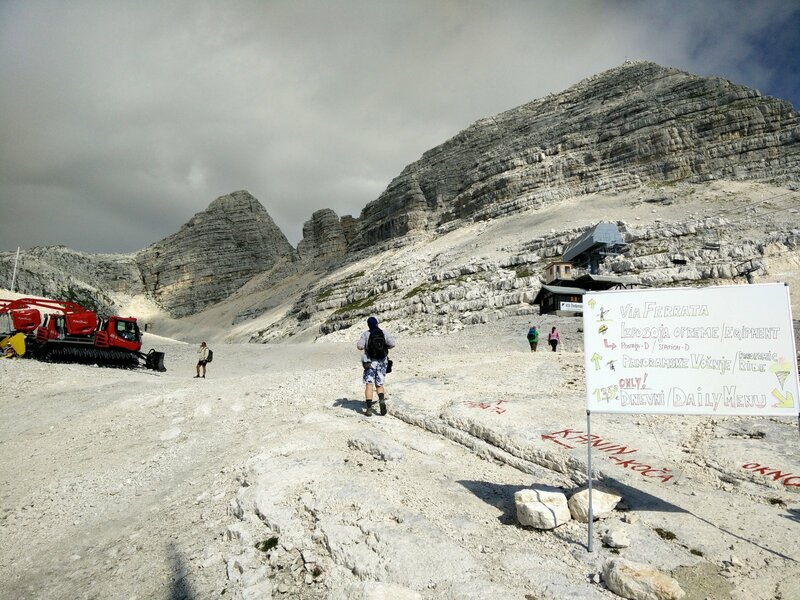 Soon after the airport (500 meters or so) you will see a cable car station on your right (Kanin Sella Nevea Ski Resort). If you are arriving from the west, you should first drive to Udine and then continue towards Bovec through towns Tricesimo, Tarcento and Zaga (road SR646 in Italy and 401 in Slovenia). When you reach Zaga turn left towards Bovec and continue for seven kilometers until you see the cable car station on your left. If you are coming from the east, you should first drive to Ljubljana and then continue on Slovenia E61 highway until your reach the Logatec exit. Then take the Logatec exit and continue on the road 102 towards Bovec (107 kilometers). Just before reaching Bovec you should turn left to the parking place for the cable car station (Kanin Sella Nevea Skir Resort). You can also reach the starting point by public transport, but it might take more time than you care for. Busses run approximately twice a day from the capital Ljubljana to a bus stop called Dvor pri Bovcu which is located 400 meters away from the cable car station. The trip takes between 3.5 and 5 hours (in comparison, it takes approximately 2 hours to drive by car from Ljubljana) and costs circa 13 euros (15$). For up to date time tables, check the Ljubljana Bus Station website. Navigation is not difficult on this trail as you should more or less follow a slightly northern curving route towards west which is marked with red and white circles. The otherwise difficult terrain also means that it is quite clear to see where the path goes and doesn’t go. As you exit from the cable car station, you follow a quite steep trail towards northwest. For almost a kilometer the path ascends 200 meters; on the way you will see a northern path leading to up Prestreljenikovo Okno (meaning Shooter’s Window) which really is like a gigantic arrow-loop looking down on the Italian side, affording amazing views in clear weather – well worth the detour and extra climb. Unfortunately for us, the weather was rather cloudy whenever we were passing by and therefore we chose to continue towards Big Mount Kanin. 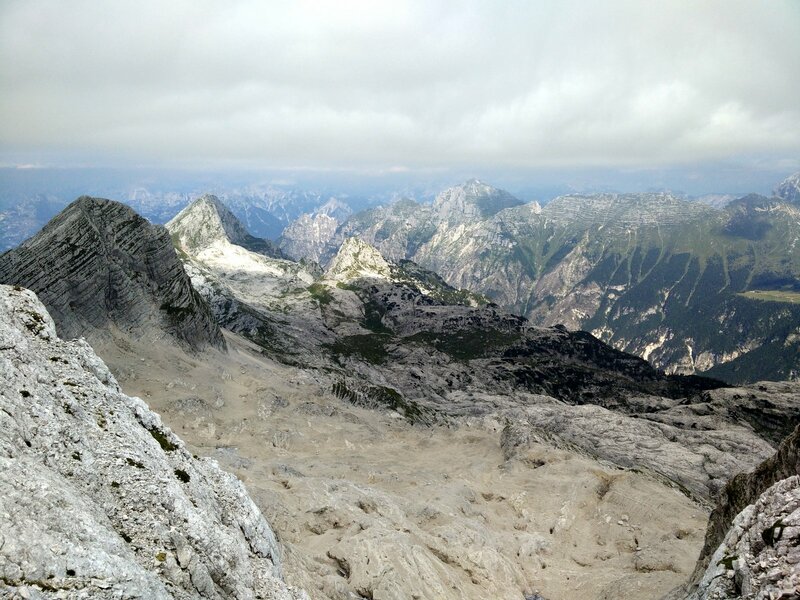 The steep path climbs over a ridge after which the green Bovec valley is hidden from view and you find yourself on the edge of a steep rocky valley which resembles a moon landscape. You will then follow the path which runs on the scree along the northwestern side of this valley and gently ascends and descends slightly. After a kilometer or so, the trail starts to get steeper and rather than hiking you will have to scramble up rocky mountain sides. Here you will also be able to see the greener alpine landscape on the Italian side as well as a few isolated patches of snow on isolated shadowy spots. 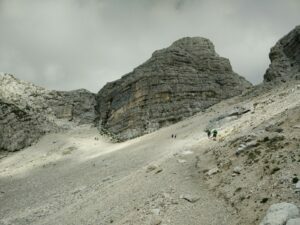 After 500 meters of this type of terrain you will descend slightly to 2500 meters of altitude again, but immediately after the trail turns very steep all the way to the top. For getting back to the starting point, we used the same path as for the hike up. 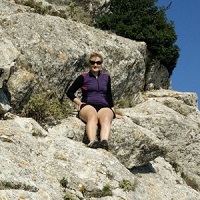 I was wearing a long-sleeved merino baselayer over my Asics top with built-in sports bra as well as polyester hiking pants and Scarpa Marmolada hiking boots. My boyfriend was carrying food, water and some accessories in an Osprey Talon 22 daypack. 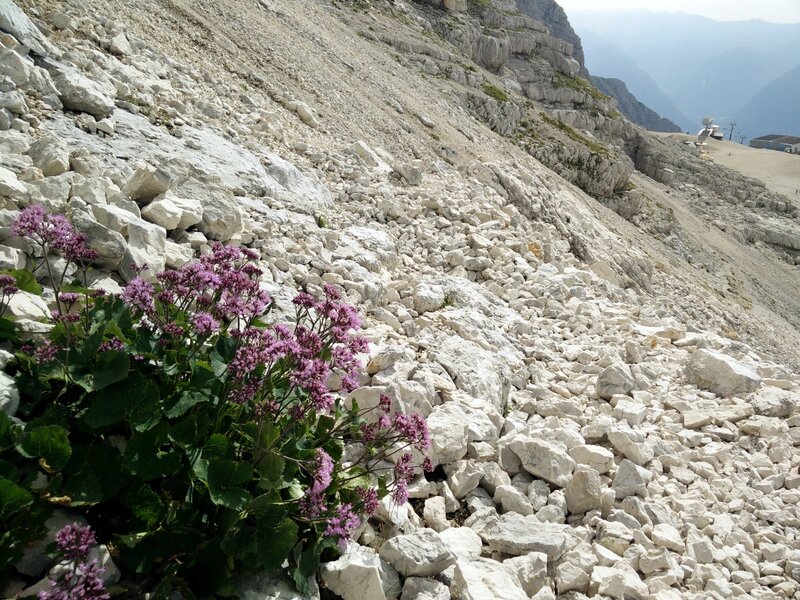 Previously I have tested the Scarpa Marmolada boots on snowy and rocky, but less steep and technically challenging trails in Austria where they performed great – but here they were nothing short of magnificent. The soles have amazing grip; even on the most difficult stretches of scrambling very little foothold was necessary to safely ascend or descend. Also the climbing lacing helped to give a more precise feel which was needed multiple times where I only had a foot hold with the tips of my toes. 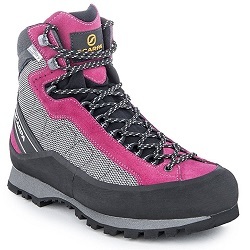 Furthermore, the breathable OutDry lining made the boots as comfortable in the height of summer (of course wearing lighter socks) as in the winter time. 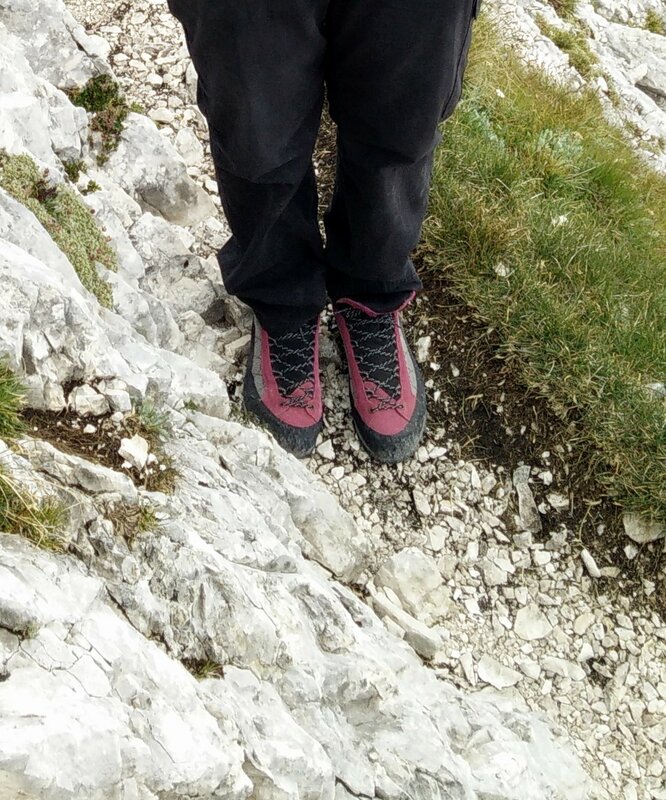 Check out the full review of the Scarpa Marmolada hiking boots here. The Kanin trail is a technically challenging trail but provided that you wear a helmet and proper boots with good grip, most healthy adults should be able to make it. It might be a bit too much for children unless they are very used to hiking and scrambling; on our way we saw a larger group of adults and children break into two where the latter and an adult stayed behind for a break while the others continued towards the top. 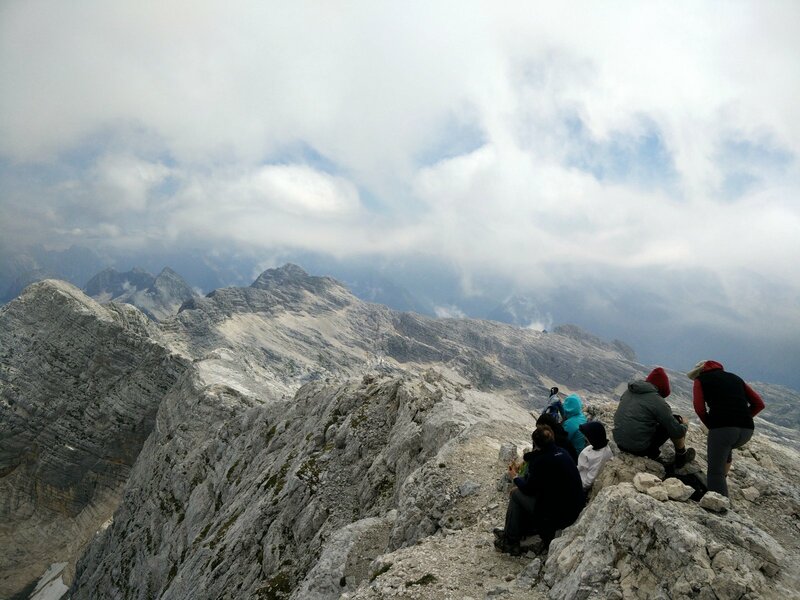 The Kanin trail is pretty popular and we met quite some people on our way to the top. Helmets are therefore necessary as other groups might accidentally set some stones loose on the more exposed stretches. 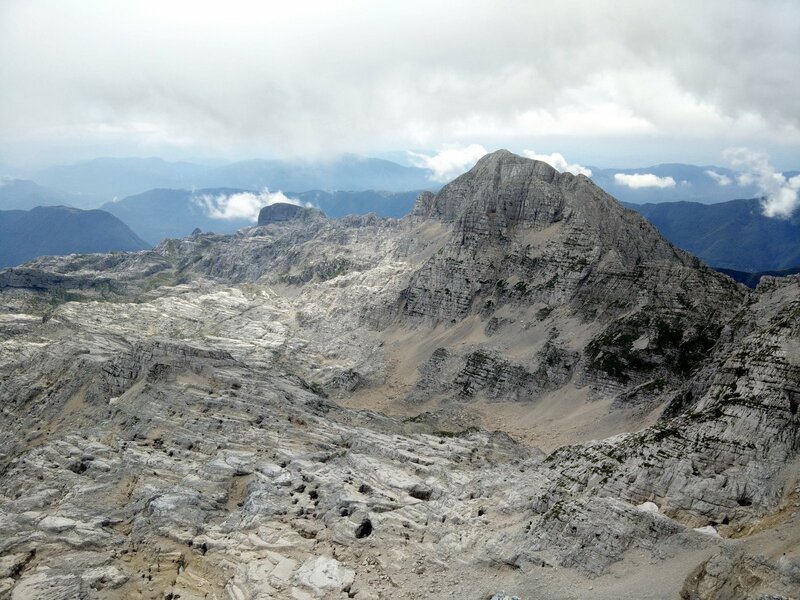 Also beware of weather conditions before you set out on this trail; thunderstorms in the Alps are no joke, but often fatal. On our trip there was forecasted a slight risk of thunderstorms but luckily we got off with some occasional rough wind gusts and a more or less clouded sky. We were, nevertheless, ready to descend tout de suite if any thunder would begin to rumble. 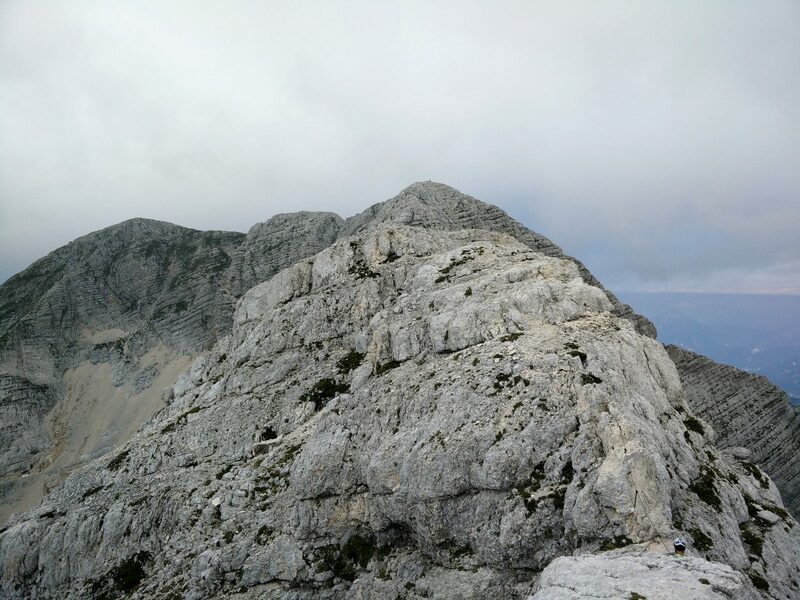 If you are looking to do this hike outside late spring – early autumn, you will most definitely need crampons and an ice axe. While you might have the trail more to yourself than we did, do prepare to share the cable car up with skiers and snowboarders in the winter season. How to choose food for a hiking trip?